There is no best reverb pedal anywhere, guys. Sorry to burst your bubble. But don’t get us wrong. There are high quality reverb pedals, no doubt. 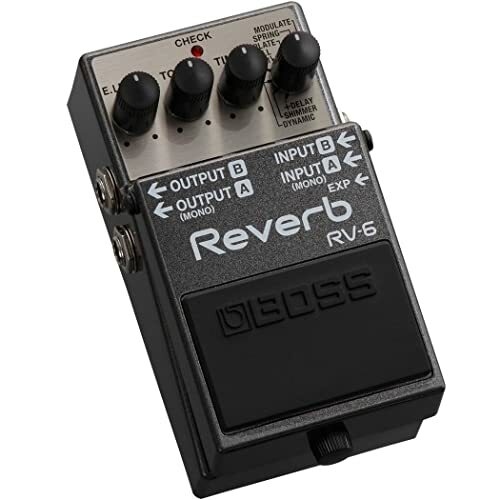 However, a reverb pedal is only best if it carries features that are perfectly suited for your own specific needs. As a guitarist, you are probably pressured from all the promises of different brands concerning their reverb pedals. So, it’s okay if you don’t know where to start. You’ve, at least, made a step in the right direction checking out this site. 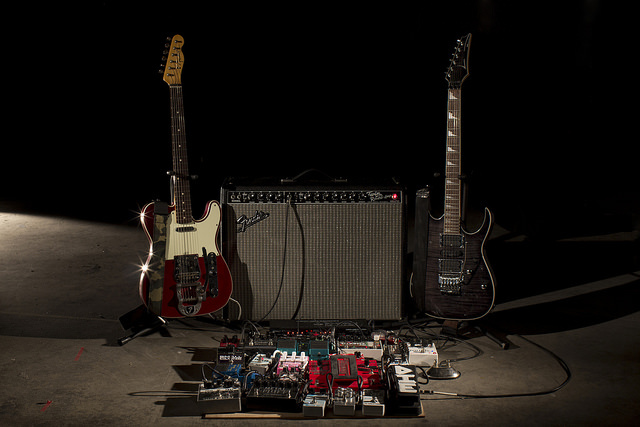 Together, we are going to check out our top ten favorite reverb pedals right now. Plus, we will also go over some of the most important specs and features you need to check out when picking reverb pedals. Be rest assured that whatever your reverb pedal needs are, you’re definitely on to something reading this article. Let’s hit it off! The TC Electronic HOF Mini Reverb Pedal is about the most compact reverb pedal in the market. It’s so small the makers didn’t even have enough space to write the full name of the pedal on the product. But what’s up with this pedal really? Well, because of its size, it can only boast a mono operation and one control. However, that’s not all there is to this pedal. It does pack a punch with TC’s TonePrint technology which is one of the most innovative in the market. Moreover, the pedal features a rich hall setting. However, you can use TonePrint’s smarphone app to access even more settings. You can check out the Hall of Fame settings or any of the artist-programmed prints. You probably don’t know about the TonePrint Editor, but we’ll tell you. This feature has been recently updated. And with it, users can now connect stompbox to computer. This gives you all you need to make your own TonePrints. Also, there are all kinds of hidden parameters you can adjust. Plus you can even decide what parameter the single knob on your pedal controls. Now how exactly is the sound here? 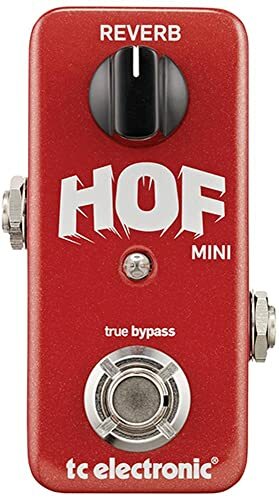 The HOF Mini might be a mini but it almost matches its big brother in performance. The reverb is excellent with tons of options thanks to the TonePrint function. It’s got nearly everything from the short springs to a wide range of modulated reverbs. And we also like how that this still allows the natural tone of your guitar to shine through regardless. It might not be the best pedal for the guitarist looking for plenty of sounds. But if the one reverb idea isn’t so bad to you, then this works. Sounds as fantastic as its big brother. Features a TonePrint editing function which allows you to edit and even create your own unique sound. This pedal comes with only limited controls. Does not come with a lot of reverb options. So, it’s not ideal if you need lots of sounds. 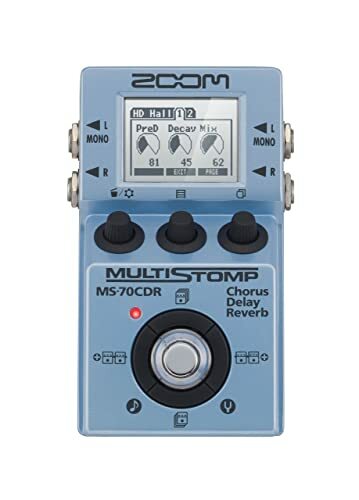 The Zoom MS-70CDR is the latest pedal in Zoom’s MultiStomp series that focuses on delay, chorus, and reverb. For control, it comes with three knobs which you can use to adjust the onscreen parameters. Plus, there are four other cursor keys with which you can scroll through the available effects either to add or to remove them. Overall, the effects are quite impressive. And users will be especially impressed by Particle’s mangled reverbs and Space Hole’s modulation. Besides the effects, there’s also the delay to be impressed by. It ranges from the classical analogue voices to other settings like the Trigger Hold Delay which is a bit more out there. And now to the Choruses… Truly, it could be a bit more “chewy” but it is by no means less than great. The choruses cover a pretty impressive range from the Clone to the Mirage. No, it won’t give you that oomph that an analogue chorus will give you. But we’re sure you’ll be wowed by this anyway. The biggest selling point for us on this pedal is its “tweakablility”. Yeah, we just made that up, don’t look in the dictionary. You’ll find the chorus, reverb, and delay here very easy to tweak. So, if “tweakability” is a huge point for you, you’re making a worthy investment betting on this. From all the features and specs we’ve seen so far, we can confidently tell you this is one pedal you can’t go wrong with. But then again we also have a few things we would have loved to see, nonetheless. For instance, it would have been nice to see this pedal come with more options for modulation. But then again, this is so competitively priced, we don’t have the heart to complain. The reverbs here sound exceptional. There is a vast array of choruses and delays. Gives great value for the price. Good ole fashioned analogue chorus tones still sound a tad better than the choruses here. Electro-Harmonix is a company that keeps us on our toes. You never know what to expect. One day it’s a vintage pedal and another day, it’s a modern one. But this time, Electro-Harmonix brings you the best of both worlds in its Holy Grail Nano Reverb pedal. In looks, the Holy Grail Nano pretty much resembles other pedals from Electro-Harmonix So, everything here comes in the minimalist design. However, there’s nothing minimalist about the toughness of the enclosure here. This thing is a beast! It sure can take ten beatings! Plus, because it comes in the standard pedal design, it means that this pedal is not too choosy. It will be able to fit on nearly any kind of pedalboard there is. This reverb pedal comes with just two controls which we are perfectly okay with. The first control is referred to as the Reverb knob. It controls the amount of infusible reverb you get in on the signal chain. And as for the second, it helps you choose among the modes, whether the Spring, the Hall or the Flerb. But that’s it for the controls. And now to performance, being vintage stuff, this gives some legendary effects. And that’s the reason you have the Hall and Spring mode options. But if the question is if Electro-Harmonix nailed it, then there’s no question. Both modes are amazing and warm. And the Flerb (a Flanger-reverb combo) is also pretty interesting and brings a unique, modern feel to the table. But what we like even more than this modern feature is how it does not hurt the original vintage concept. In a nutshell, this reverb pedal is simple and sweet. Its build quality is solid and its tones are also pretty excellent. Altogether, we love! Produces an exceptional spring reverb. Comes with a pretty good emulation which gives a really realistic sound. Pretty good value for money. Comes with a power supply. If you hate Flanger, then you might not like Flerb feature. Runs on 9.6 volts which might not work well for some people. The latest in the Boss RV series and the successor to the RV-5, the RV-6 is a beaut. Boss returns some of the old features we’ve seen on older RVs while expanding the available features here at the same time. For instance, there are the all new Dynamic and Shimmer features. And as for the comeback features, we also have the reverb/delay function as well. In addition to the fly features here, we also have the expression pedal. What is this expression pedal? It’s the feature that allows you control the effects on this pedal seamlessly. It’s very handy and we are glad Boss included it as it makes altering your reverb niftily on the fly. Now there are 8 modes on this reverb pedal. And each of these modes delivers pretty impressive reverbs and a substantial range of flexibility. So, for instance, you could be using the hall or the plate, and then use the tone knob to reshape the sound to your tastes. In fact, you get to adjust as much as 10 parameters for each time you turn the knob. This enables you to achieve mellow undertones as well as sharp metallic tones. The new comers – Shimmer and Dynamic are not slacking either. The Shimmer gives a pad-like octave-up reverb. And the Dynamics, on the other hand, just flows into your playing smoothly and complements it without necessarily overwhelming it. On the downside, though, the spring here isn’t the best in the world. And if we could get more control options for the pre-delay, we would have appreciated it. But be that as it may, we’ve got to say that the modulated setting here is out of this world. Altogether, an impressive pedal we’ve got here. Spring setting could come a bit better. The TC Electronic Hall of Fame 2 suggests an encore performance of an already impressive TC Electronic Hall of Fame. 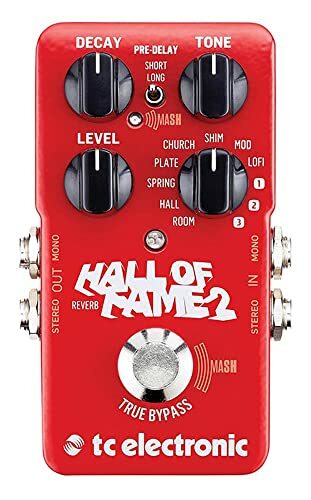 While that is true, it’s obvious TC didn’t exactly do a complete revamp of its premier Hall of Fame reverb pedal in the Hall of Fame 2. Firstly, the Hall of Fame 2 brings a new reverb mode to the discussion – the shimmer octave. Plus, it also adds the Mash footswitch which is somewhat like an expression pedal and functions as such. In our opinion, the reverb sounds here are not over the top or anything. But they do sound great all the same. At least, they cover the more important bases. Thanks to the MASH technology, you now have all the expressiveness of an expression pedal but in a more compact form this time. This significantly improves this pedal in its playability and musicality. And that’s not all from the MASH technology. It also gives you perfect control over the instrument, enabling you to control nearly every parameter you can think of on the pedal. Yes, you can adjust your decay and length real time and on the fly. And for an even more ethereal sound, TC pairs the MASH technology with the shimmer function in all its crystalline beauty. Your sound is going to come out in the 3-dimensional realm. Pretty sick, yeah? Lastly, let’s not forget the TonePrint technology – TC’s patented technology that allows you use the same settings as some big time artists like Gary Lucas and Steve Vai. And to keep things fresh, TC comes with a vast selection on its website available for download. You’d have to keep up, we tell you. MASH technology is off the hook! Gives your play another level of responsiveness and expressiveness. Reverb sounds here are good enough. Reverb here is a bit underwhelming. 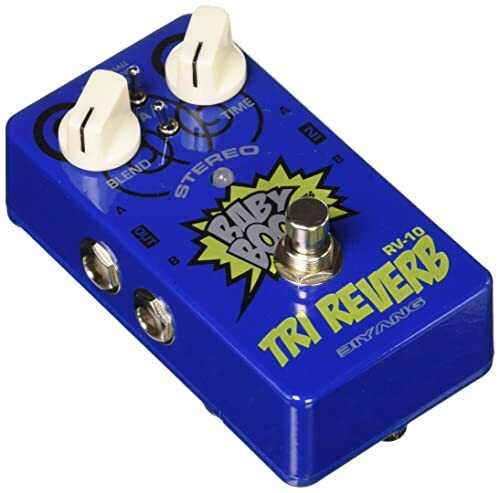 Before now, we all knew the reverb pedal people were Electro-Harmonix, Boss, and Strymon. 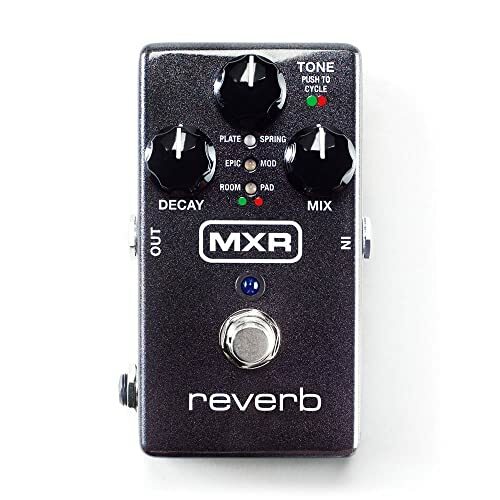 Yes, MXR makes pedals but not reverb pedals. Well, until the M300 came along. On the M300, you get the usuals, that is, room, plate, modulation, and spring. But MXR throws in two extra (can also read rare) reverb types as well which are the Pad and the Epic. The Pad setting bears a strong resemblance to the octave-up shimmer you find on other pedals. And the Epic sounds like a multi-tap delay plus an extra reverb. Okay, maybe MXR isn’t doing anything groundbreaking with the M300. But still, what’s more important than having a ground-breaking instrument is having an instrument that actually works. And on that score, the M300 nails it. The settings are easy to use and when adjusted, they produce authentic sounds. And this is because of the 96kHz sample rate of impeccable studio-grade quality. The expression of the pedal here is pretty nice as it allows you to seamlessly blend several reverb settings. However, if you’re a fan of stereo, you might not be entirely awed by it as it appears somewhat cumbersome. There’s just one TRS stereo jack output plus a teeny mono/stereo switch which you can only access via the PCB that’s on the inside of the pedal. Yeah, cumbersome like we said. Now a quick point of caution before we run off here… The only way to access the many reverb types here is to press the tone knob. Problem is if you happen to be playing on a stage with dimmed lighting, you could find yourself in a serious fix. However though, this still boasts great sounds with lots of tones. And it doesn’t hurt that this comes in a small size as well. Stereo setup is a bit awkward and inconvenient. The Catalinbread Talisman comes compact with sounds that come pretty close to the EMT 140. Let’s put things in perspective here, the EMT 140 is a 7 foot long studio plate reverb. So, you get what it is we’re talking about here. Now, we’ve got to say that Catalinbread tried its best to give us a true plate reverb pedal. And truly, it did come out decent. However, it still doesn’t quite hit that true plate reverb sound. Nonetheless, for a plate reverb in a compact stompbox, the Catalinbread Talisman is a pretty decent pedal. Plus, it looks pretty good aesthetically which makes this pedal stand out among its competitors. The knobs are easy to use and allow you engage the pedal without any of that slightly annoying audible pop sound. And also, the initial reverb tone here is pretty impressive almost like any other quality reverb you’ve heard. Plus when you adjust the Time and Mix, the Talisman brings a staggering reverb to the table that easily rivals other kinds of plate reverbs. Not just digital ones but even the larger cathedral and hall reverbs as well. Now, unique to the Talisman is the Pre Delay knob. 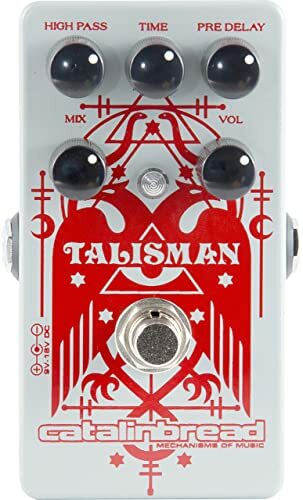 Okay maybe other reverb pedals have one variation or the other of a pre-delay but the Talisman nails this control down to the t.
Catalinbread introduced the delay in order to give the reverb ample timing to give it a perfect hit. Of course it’s perfectly understandable if you’d rather keep it short. The Pre-Delay knob also gives you the opportunity to do that without bothering about timing. Overall, we will say that Catalinbread did a marvelous job on this pedal. The instrument is well thought- out and executed. Knobs are easy to use. Features mix knob and Bypass for dry and wt path shifts. Doesn’t exactly sound like an actual plate reverb. Some say this is about the best digital reverb in the market right now. What do we think? Everyone has a right to their own opinion. But we can tell you categorically that if this reverb is from Electro-Harmonix, then you can bet your favorite axe on it. This is one true stereo inside and out! It’s been on the market for more than 10 years now but even till now, users are still being wowed by this reverb globally. Its effects are pure bliss thanks to its 24-bit AD/DA converters. And if you think that it hardly gets better than this, sit tight. Our journey just started. The Cathedral comes with 8 styles, all of which are completely programmable, loadable, and can also be saved. You’ll even be able to go back to your prior settings and alter them on demand. The 8 styles include the Gail Spring, Accu Spring, Hall, Room, Plate, Reverse, Grail Flerb, and Echo. The stereo feature here is also tight. And you won’t be enjoying all that lovely hymn setting alone, your audience will also be able to hear it however far they are from you. And if you want, there are settings which can also help you confine your sound either to a small enclosure or a large one. Now, remember that 24-bit AD/DA converter we talked about? It capably supports the Tap Tempo capability as well as the functions of the control knobs. Talking about the control knobs, you’ll find them easy to adjust. And, in some cases, you might also have to combine a couple of modes to achieve the particular effect you desire. Once again, we are not disappointed in the performance that Electro-Harmonix offers us in the Cathedral. Usable with a bass guitar but expect a couple of losses on the low-ends. Delivers a sound pretty close to a sonic cloud when you engage the infinite mode. A little heavier than its competitors. 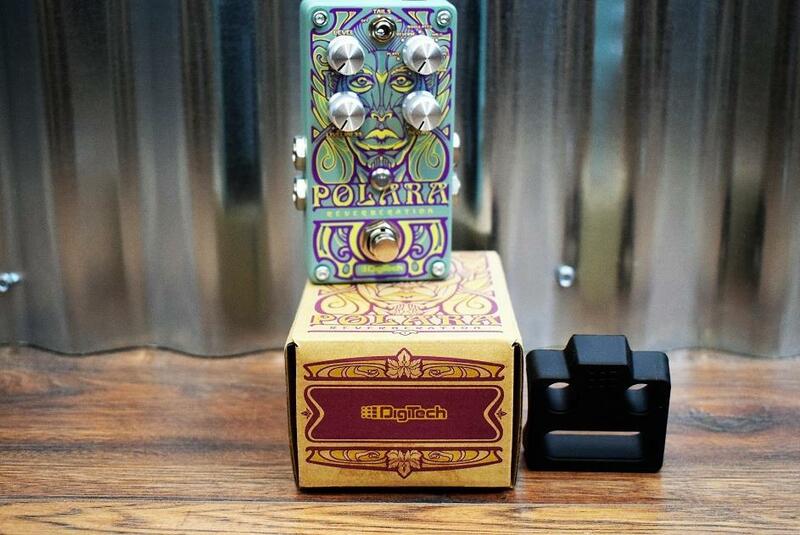 If what you want is a versatile reverb in a compact package, the Digitech Polara is a good choice. With access to its sister company, Lexicon’s, high quality reverbs, Digitech has outdone itself on this product. 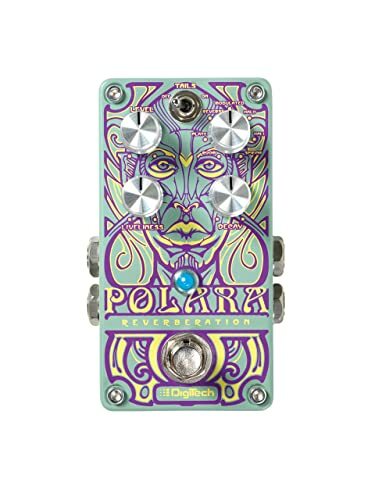 The Polara is the latest product in Digitech’s product offerings with the usual reverb types plus an extra ambient setting. However, Digitech still keeps this product pretty simple and does not include a pre-delay knob. All you need to do here is to select your preferred mode, and then dial in on the decay and liveliness. And that’s all. You’re on your way! For those asking, the spring setting is quite solid and maybe even a bit over-excitable. And as for the Room and Hall sounds, this reverb fills the room with a sheen that’s only accurately described as pristine. We love the atmospheric settings here too. It is pleasant and yet it doesn’t, in any way, interfere with the ambient ‘verb here. Next, we look at the Shimmer which is actually quite subtle. If you want to take things up a notch though, you could crank up the liveliness. But if we could choose, we’d have preferred a synth-pad with a more extreme feel. In the end, the market for compact reverbs is really tight. But Digitech comes with 7 reverb types so this reverb easily holds its own. Offers several types of quality reverbs. The Ambient reverbs could have been better. We know that most of these reverbs here may be a bit out of reach for some people, beginners especially. And that’s why we are including the Biyang RV-10 to our list. It’s inexpensive and yet fully functional. It comes with three types of reverbs which are the Room, Hall, and Spring. And all the reverb here come enclosed in this super sturdy metal casing which you can just tell will last for as long as. Biyang recorded the Tri Reverb using the Focusrite Saffire Pro 40 right into the Logic Pro X. And mind you, the makers didn’t even use any additional filters like EQ, compression or any other effect plugin at all. This reverb works with practically any stereo as well as other instruments besides a guitar. It even works with vocals as well. What’s more? This is a true by-pass stereo. So you can use the mono in function while still using the stereo out feature. All in all, this reverb packs a huge punch with a high level of realism smooth tails. Its 3 reverb sounds are amazing and with an A/B switch, you get more than just 3 reverb sounds. You get up to 6 of them in total. Practically all reverb types are covered here from the spacious springs to the more intimate rooms. Pretty nice reverbs with great tone modes. Features stereo input and output. Feels a little too fragile for some users. Reverbs differ from one style or type to the other. However, below, we list the most common ones. This is about as basic as reverb pedals get. It is also known as an algorithmic reverb and just like the name suggests, the reverb simulates sound as it will play in a physical room. Most other reverb types you find like the church and cave ‘verbs are actually just room reverb. Only that this time, a lot more diffusion has gone into it and the reverb might come in a larger size. Now, many of the pedals you’ll find in the market will treat each of these other reverbs (like the church and cave) differently. But if you go for a hall reverb with a size knob you should be able to produce all of them. To give reverb even more liveliness, oftentimes, sound people love to modulate it. At least, that way, you don’t sound too much like you’re trapped in one metal box. Many times, the modulation of choice is usually a flanger or a chorus. Now these guys we just mentioned are actually cousins to reverb. The only difference is that they (chorus and flanger) exhibit different delays which cause shifting phase cancellations. Also, for a slight wobble, sound designers might try to introduce a tremolo or a vibrato. When the original spring reverbs were first created, they used to have actual metal springs in them. It was the resonation of these springs that would then create the reverb effect. A couple of reverb pedal makers still make their reverbs this way. And oftentimes, they pair this reverb with analog amplifiers. But for most digital spring reverbs, they employ the process which we call analog modeling to replicate the effect digitally. This saves money and space and also gives the user more control as well. In the end, spring reverbs have come a long way and now sound more authentic than their earlier counterparts. In the beginning, makers would create plate reverbs by using actual plates. They would use plates to reflect the back and forth movement of sound which brought about the plate resonation as we know it. However, just like we saw in the spring reverb, things have been digitalized. Digital emulation has now displaced the analog method. In this type of reverb, we shift the pitch up to give the reverb that airy harmonic shimmer. This is a pretty recent innovation. But it’s gaining popularity among different genres and fast too. If you’re a lone guitarist, a shimmer reverb might just be what you’re looking for. The convolution reverb is not commonly brought up when discussing reverb pedals generally. However, it has its advantages especially when it comes to emulating specific amps or sound stages. It works simply by getting the sample of a reverb impulse, and then using it to modulate the signal. After this is done, the next step is to make that signal mimic the original impulse response. In the introduction to this article, we did mention that there is no best reverb pedal anywhere. The best reverb pedal is ultimately any pedal that works for your style of play. Now, before selecting any reverb pedal, check out the following factors and be sure it’s the best pedal for you. If you’re the type of guitarist that loves lots of controls, then a single knob will definitely not suffice. So, you want to make sure that you look out for control when you check out a reverb. For instance, the Electro-Harmonix Cathedral comes with 6 knobs and tons of mode settings. The Wampler Faux, on the other hand, has just 3 knobs. Of course, more knobs means that the reverb will require a steeper learning curve. But then, it will also make a more versatile device than the so-called simple pedal. However, there’s no better option. It all depends on the guitarist. 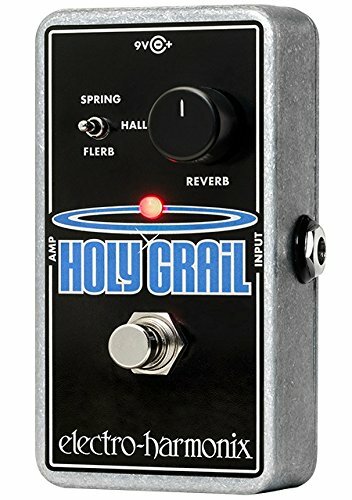 Of course reverb pedals vary pretty widely in price. Some can cost about a couple of hundred dollars. And some might go for less than a hundred bucks too. If you want it even much cheaper, you can also go the “used pedal” route as well. As long as you don’t mind the little scuffs and scratches here and there, you’ll definitely find many used pedals still in good condition. This is a great way to go for guitarists on a budget looking for pedals from high end brands. What’s Your Preference – Analog or Digital? Many of the reverb pedals you find in the market today are digital pedals. This means that they are simply digital iterations of their analogue (read authentic) counterparts. Because truth is, most analog reverbs are large. So, yeah, most probably, the reverb you’ll end up buying will be a digital ‘verb. 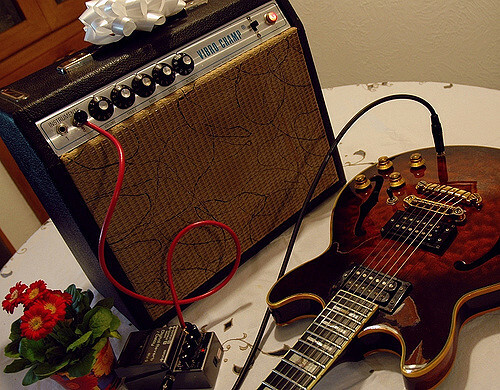 Understandably, guitarists might be scared for the quality of sound. And this is a normal worry with any sound at all that is digital emulated whether on pedals or pianos. Thankfully, these days, with the help of advanced technology, digital versions actually sound pretty good. They might not sound as superb as analog, and nobody expects that, but they don’t do too badly either. 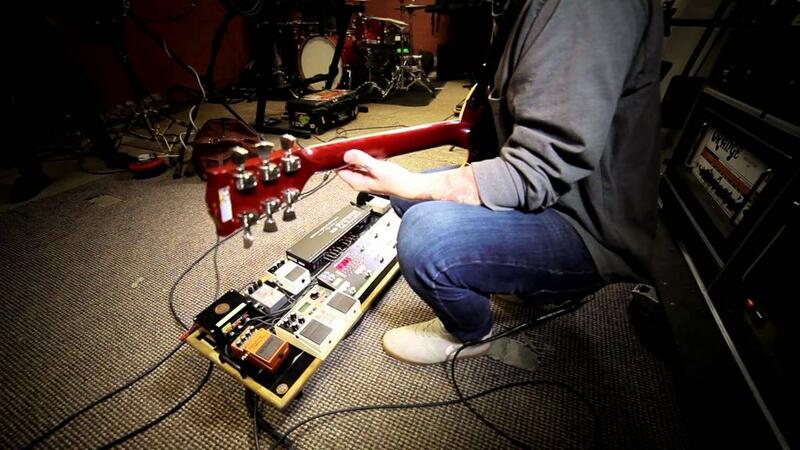 If you can, try testing a couple of pedals before settling on one. Understandably, this is easier if you live close to a music shop. Most shops give you the opportunity to hook up your pedal if you’re serious about buying. Just don’t forget to take your axe along. However, if you’re buying online, then you don’t have this luxury. Your best bet will be to check out reviews or watch demos on YouTube. YouTube has a huge resource of videos on some of the most popular reverbs. In these videos, you can learn the different sounds these pedals make as well as the different options your pedal comes with. 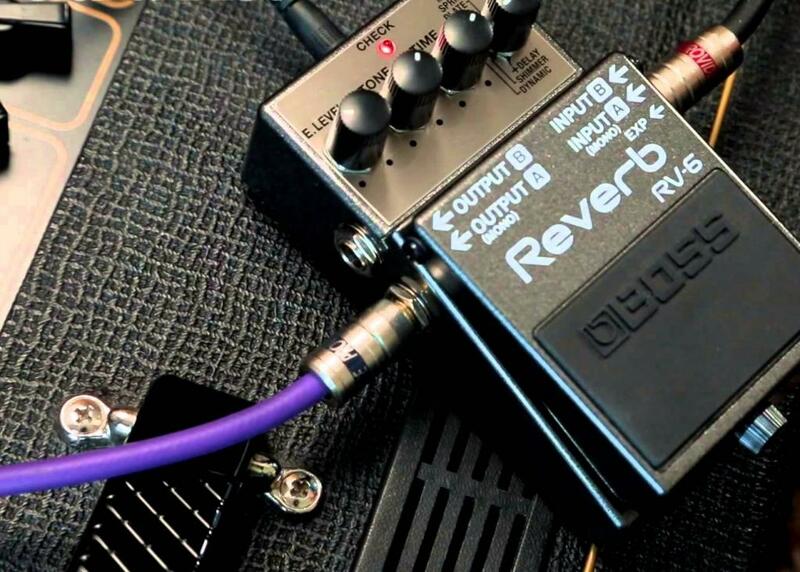 In the end, picking the best reverb pedal is actually as easy as these four steps. With 10 reverb pedals on review, we hope our buying guide has been able to shed some light on how to pick the best for you. And now it’s time to crown our best reverb pedal in today’s reviews. Easily, that award goes to the TC Electronic HOF Mini Reverb Pedal. It might be a small ‘verb, yet it boasts great functionality. Its small size is even one of the qualities that endear us to this pedal. This means that you won’t find it difficult hooking this to your pedal board or carrying it around. Plus, the sound is terrific. It might feature just one hall setting. But with the integrated app, the user is opened up to a world of more. And then there’s the TonePrint editor, probably our most loved feature. You’re not just modifying sounds, you also get to create your own unique sounds as well. If there’s any ‘verb that satisfies us completely, it’s definitely the TC Electronic HOF Mini. 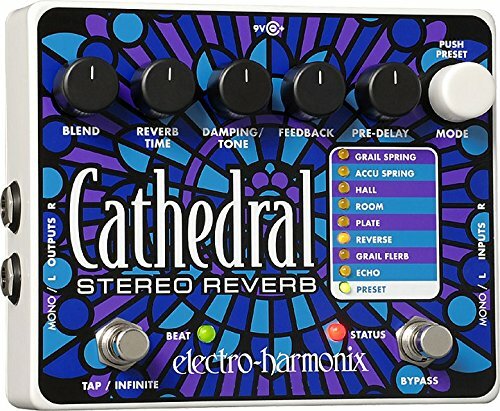 Now, we’re pretty sure some people expected us to name EHX’s Cathedral, but we’ll keep it at a close second. And that’s only because it’s a bit pricey and clunky. Otherwise, it’s easily a 5-star product too. Great Job. I think you may have mentioned the Digitech iStomp reverbs, some of which are Lexicon based. Although the pedal is not in production, there are many still for sale out there.